As its namesake, this board is all round. 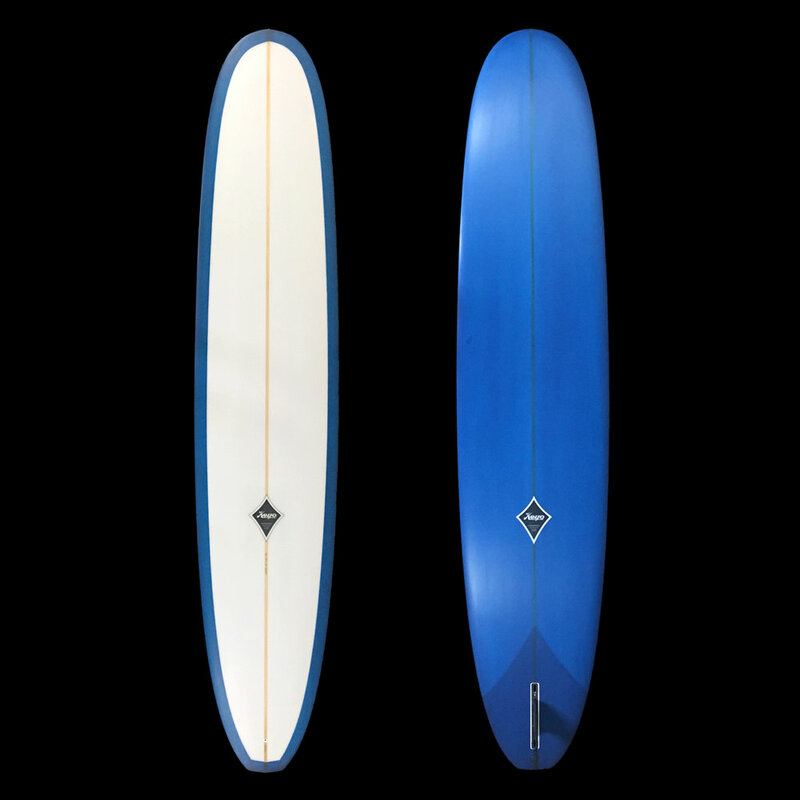 The Model O is a Californinan style nose rider with some Aussie influence thrown in. A wide area nose riding platform with blended concave combined with 50/50 rails and a subtle roll through to the tail. A little kick has been added in the tail as well to create a stall effect when locked in, to really get some hang time. Sizes range 9’0” - 9’8” and comes standard with an under side glass tint, clear top, and 9mm Obeche stringer.